Coming at you with another Her Fashion Box for October 2013! I stuck with my "Classic" theme for this month, and thought I would share some photos of my goodies with you today. Hope you are having lovely day wherever you may be! Tea With Benefits Skin Bright 15g loose leaf sample and tea strainer. Style Rocks Gift Certificate. Hello Fresh Gift Certificate. Another lovely box this month! I am looking forward to playing with everything a little more. The stand outs for me would be the two rings, turquoise and silver make such a classic combination. Looking forward to testing out the Revitanail polish, love a good red shade, and in a strengthening formula which is always a bonus. 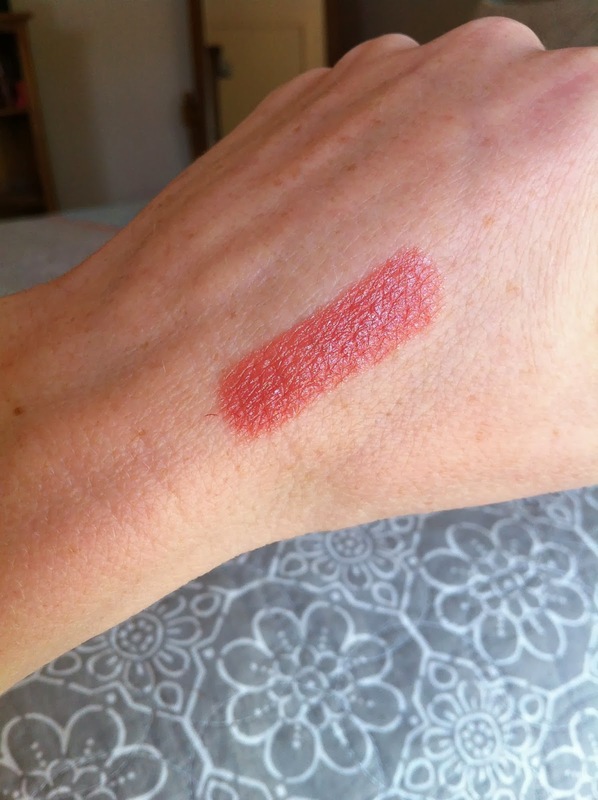 I believe the Ulta 3 lipstick was meant to be a matte formula, however on swatching mine was a cream formula, however it is a pretty shade. To be honest I would probably prefer not to have the gift certificates, only because I tend to forget about them. I know many people would love them, but for me personally, I would rather have another small item in my box, or a gift certificate that is directly related to the brands featured in the box. I would love to hear from you if you receive Her Fashion Box, or are thinking of subscribing. I think I may switch to the 'Feminine' box next month for a change. If you have any questions please leave a comment below and I will do my best to answer them! I thought I would share some of my current Bourjois favourites today. The colour adjusting Rose Exclusif Lip Gloss and the cream to powder Blush Exclusif. The theory behind these products is that when they come in contact with your skin, their 'pigment' will develop to a certain depth depending on the ph of your skin. 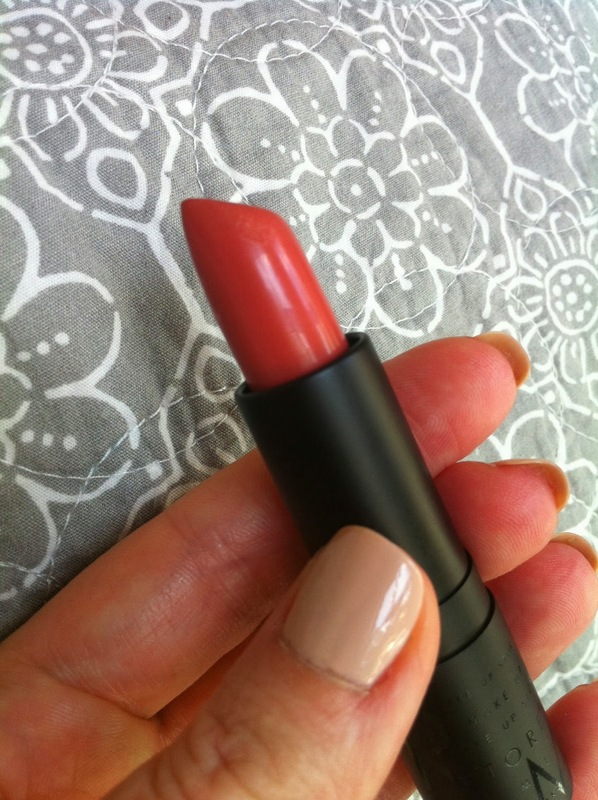 You are left with a bespoke tint of pink on your lips and/or cheeks that gives you a healthy, natural flush of colour. Nice. Apologies for the mug shot. Just to show you the products on ma face! 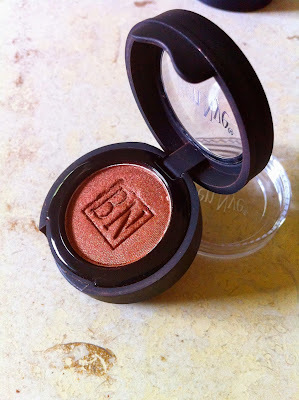 The Blush Exclusif is a cream to powder formula. I find it easiest to apply with fingertips, and then blend out with either fingertips or the Real Techniques expert face brush. It is not the most long lasting cream blush, and I find it will fade quite a lot after about 3 hours on my skin. However, the petite packaging means that it is no trouble to pop in your makeup bag for touch ups during the day/evening. 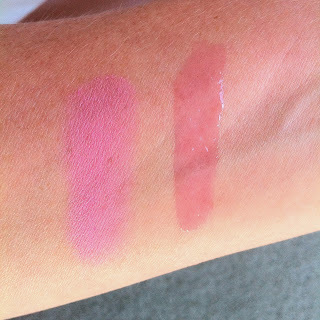 The Rose Exclusif is quite a sticky formula, which I don't mind too much. Thanks to the small brush tip application can be very precise. It will leave a gorgeous pink stain to the lips long after the gloss itself has disappeared. Really pretty! 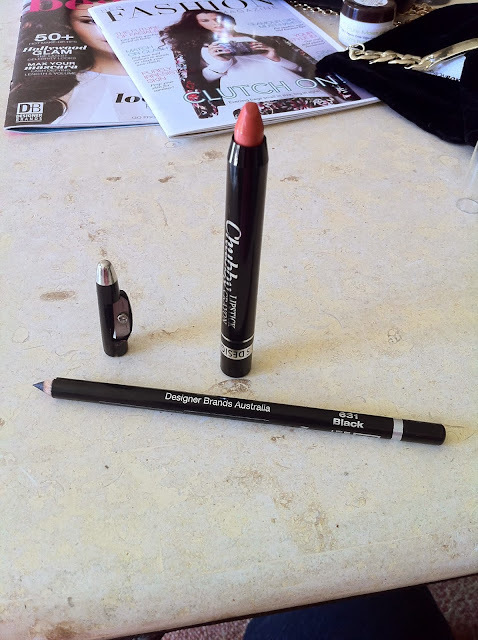 I purchase my Bourjois products from Priceline. Bourjois are also available on ASOS, and other online locations. I would love to hear from you if you have tried these products, or have any other Bourjois favourites? 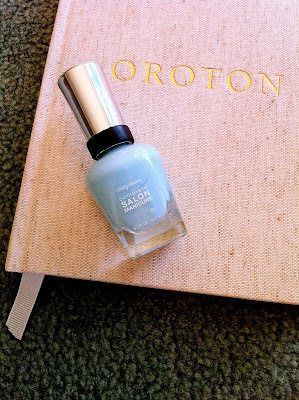 On my nails today is Sally Hansens' Complete Salon Manicure in the shade Barracuda, a gorgeous pale, milky aqua blue. The colour is actually quite vibrant for a pastel. I'm loving it! I love the curved brush on these polishes, they fit against my nail bed perfectly, making application that much easier. The formula was a little streaky on the first coat, typical of such a white based polish, however after the second coat she evened out to a lovely opaque finish. 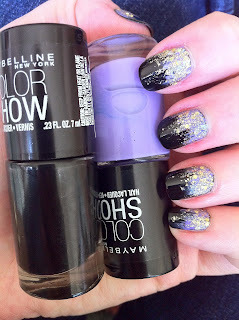 I used two coats and a top coat in these photos. I know the idea with these polishes is that this particular formula negates the need for a top coat, but I threw one on just to aid drying time. 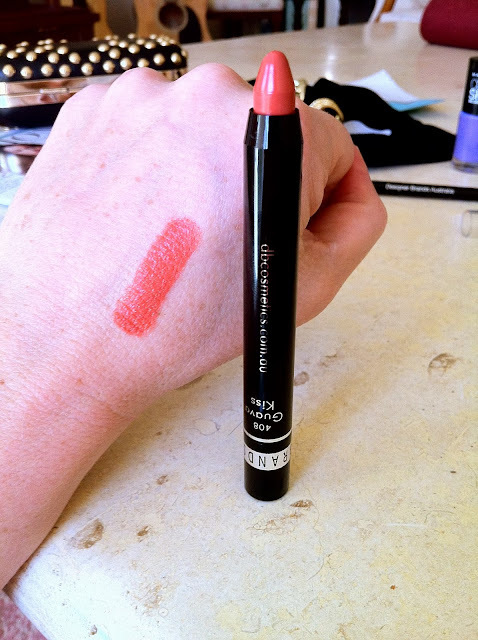 The very popular shade in this line Commander in Chic was a favourite of mine last year, and I have recently purchased a few more in the range. If you have any favourite shades to recommend please leave a comment below...I would love to hear from you! 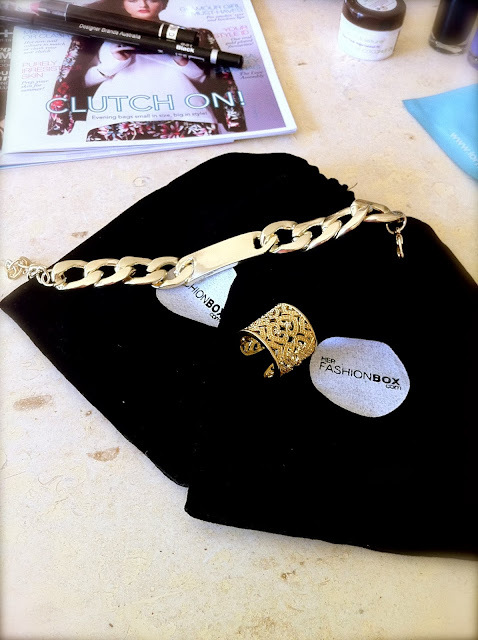 Come and have a look inside my September edition of Her Fashion Box! This is my second box, since subscribing in August, and I am loving it! A great combination of on trend fashion accessories and beauty bits to delight. There are three themed boxes to choose from...Classic, Feminine and Trendy. The Her Fashion Box website has a detailed personal profile section, to assist in your box being as customisable as possible. 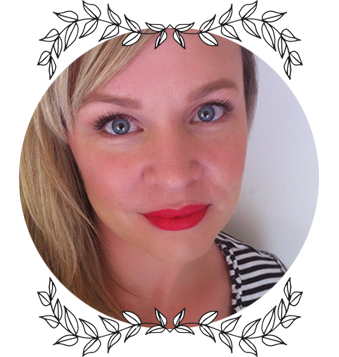 Founded by two Australian fashion and beauty entrepreneurs, Kath Purkis and Kerry Osborn, Her Fashion Box brings you great quality, excellent value for money, and brilliant customer service, all wrapped up in a beautiful box delivered to your door. What more could a girl ask for??? Inside the box this month! My Her Fashion Box inspired mani! Loving both of these shades! Onxy Rush is my very first black nail polish, it was opaque and glossy in two coats! Iced Queen was just as impressive in application and longevity, and the perfect shade for spring. Very happy for these two to join my growing collection of Maybelline Colorshow polishes. A beautiful, classic black clutch with gold stud detail. You can't go wrong with this gorgeous accessory. This will definitely be accompanying me on my next night out! These pieces are real gold plated, and lovely quality. I will often accessorise with just one piece of statement jewellery, and have received many complements when wearing these. 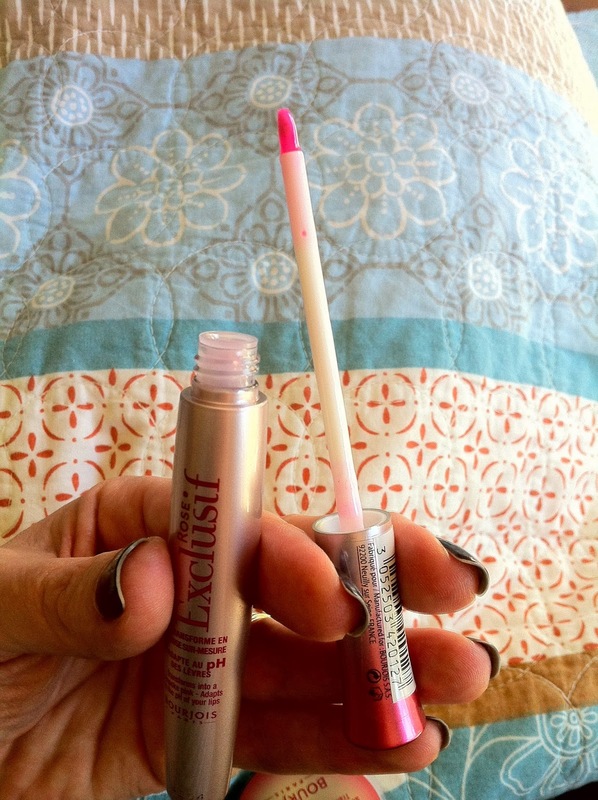 This lip crayon has found its way nicely into my handbag. Im loving this shade for spring/summer. The formula is comfortable and hydrating. 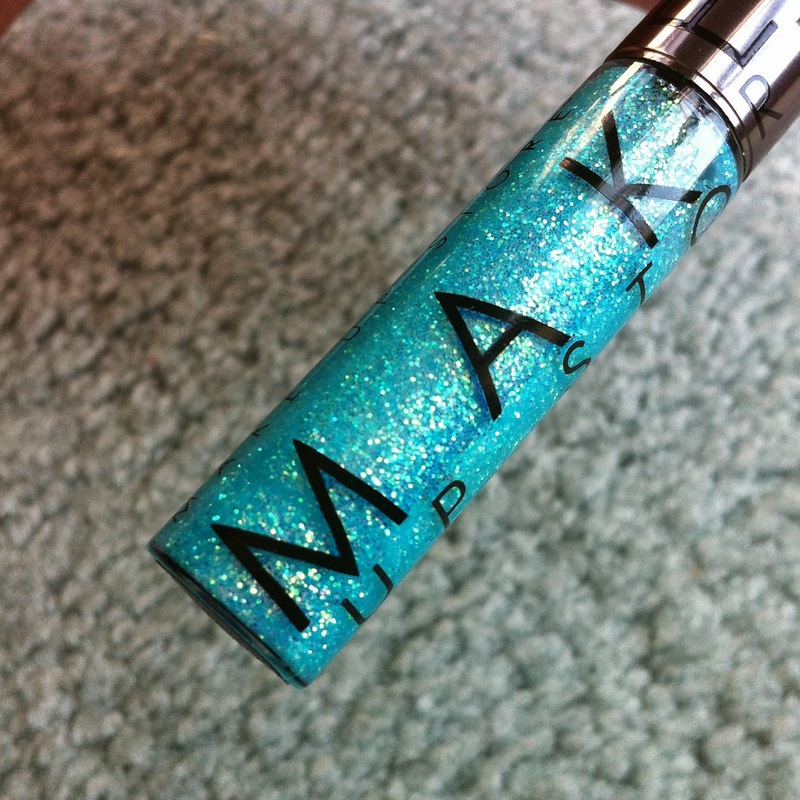 Will definitely be checking out some other shades, especially for the price! I am a big fan of masks of all kinds. 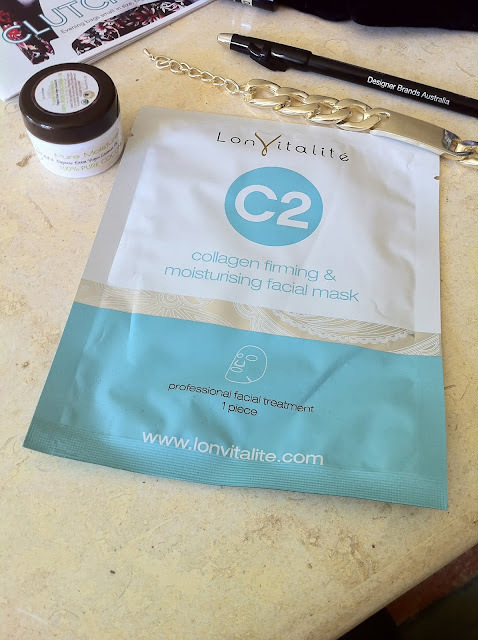 Sheet masks are becoming more and more popular for their ease of use and lovely hydrating qualities. This one from Lon Vitalite didn't disappoint. Simple, 'good for skin' ingredients. Left my skin plump and hydrated. Thumbs up from me. I have incorporated coconut oil into my beauty/skincare routine over the last three or four months. Such a brilliant multi-tasking product. Definitely worthy of a post all on its own in the future. 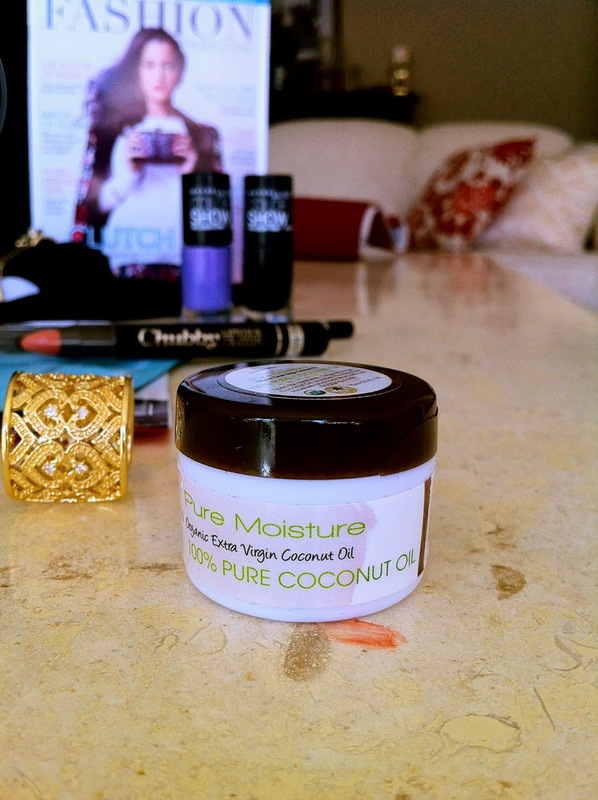 This offering from PureTAN is lovely, and the perfect size for travel. I normally purchase my coconut oil from my local health food store, or supermarket. Not sure that I would repurchase the full size of this only because it is a little more expensive. SO....I am thoroughly enjoying all my goodies from my September box! If you would like any more information or reviews on any of the items shown above please leave a comment below and I will do my best to answer! Not long now until the October box arrives! Disclaimer: I am subscribed to Her Fashion Box and pay for it with my own hard earned money. All opinions expressed are, and will always be, honest and my own. Here is part two of my IMATS haul. 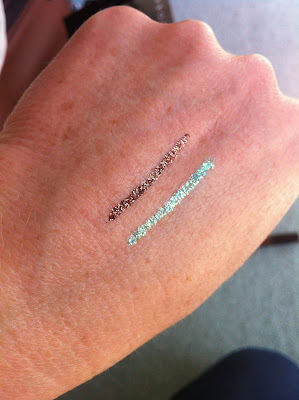 Photos and swatches of the lovely Ben Nye products I purchased. Loving these eyeshadows, and looking forward to experimenting with the cream colour base! 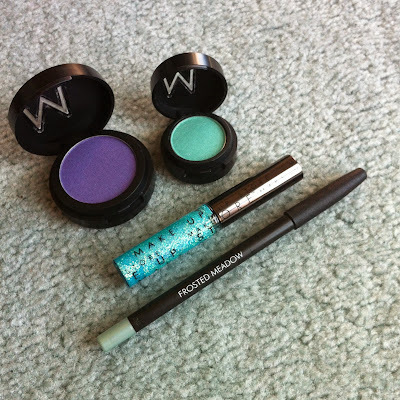 I purchased these little beauties from the Scotty's Make Up stand at IMATS. This was my first foray into Ben Nye products after hearing many positive reviews about the line. 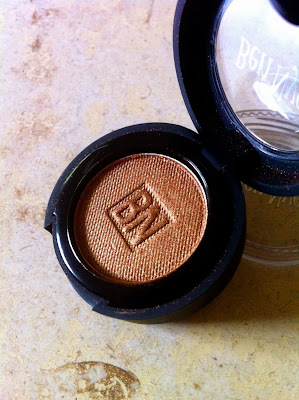 In particular, the Ben Nye Banana Powder, which has a cult following among beauty bloggers, was sold out by early Saturday morning! 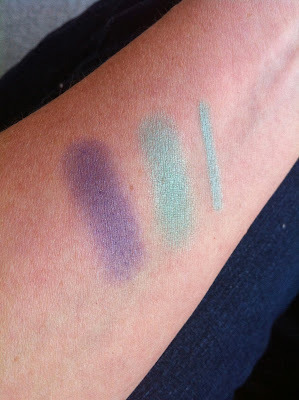 Back to my lovelies...lets just say it was love at first swatch. 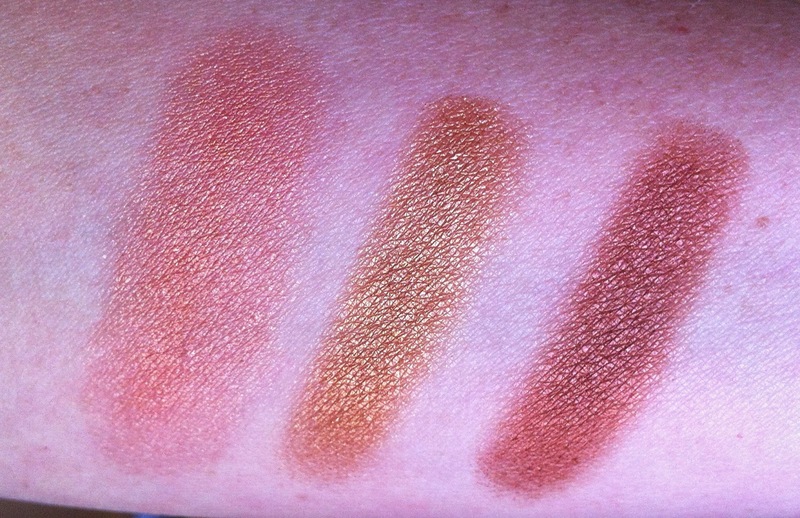 Creamy, smooth texture, beautifully pigmented. 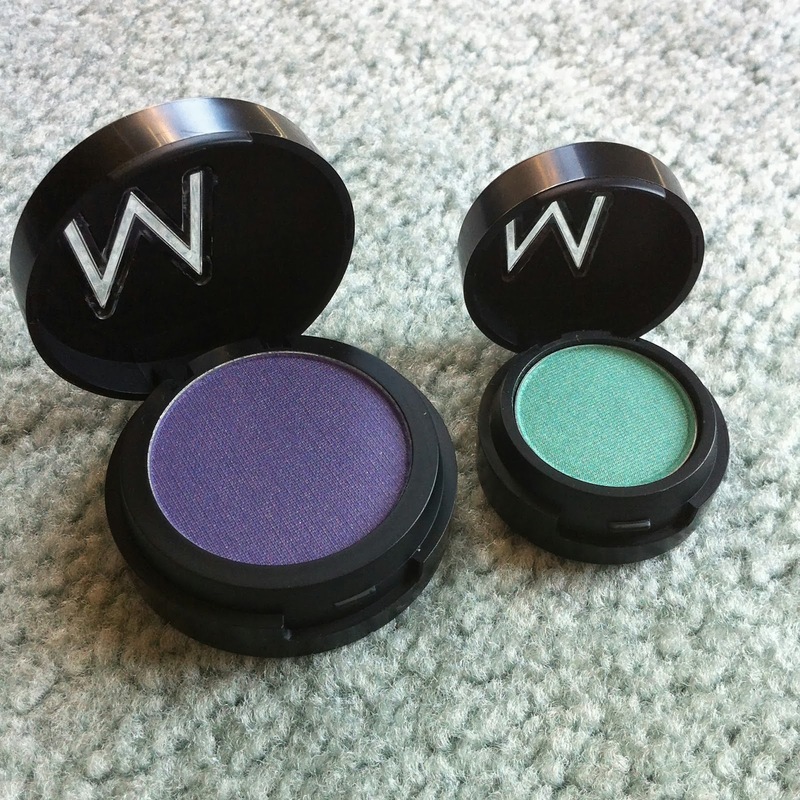 Both of the Pearl Sheen Eyeshadows make a beautiful single shadow eye look and blend out with ease. Do you have any Ben Nye favourites? 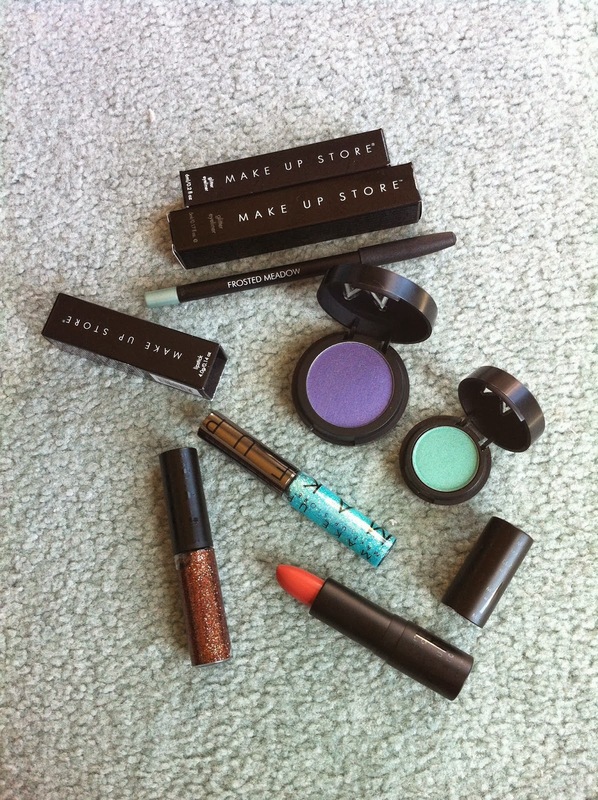 I had first heard of the MAKE UP STORE last year whilst watching the lovely Chloe Morello on her You Tube channel . I had hoped to make it to one of the workshops Chloe had hosted at the Make Up Store in the Sydney suburb of Paddington last month, however I wasn't able to get there. I believe that IMATS 2013 was the first time Make Up Store had exhibited, and it was certainly on my hit list! The set up of the booth was inviting, and the products were displayed beautifully, all easily accessible to pick up and swatch.The staff were all so friendly and helpful, and as you can see from the photos I had a lovely time!! The products look beautiful in their sturdy matte black packaging, embossed with the company logo. I am so excited to play with these gorgeous colours. 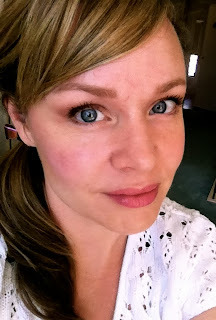 I am typically a neutral girl, so these shades take me a little out of my comfort zone, but makeup is all about experimentation and having fun isn't it?? I hope you find the photos and swatches helpful...maybe they will inspire you to inject some colour into your spring makeup wardrobe! not as red/orange as its looking in the photo above and below! I have reached for this lipstick almost daily since bringing her home. Make Up Store lipsticks are enriched with Shea Butter, Avocado oil and Jojoba oil, and feel so comfortable on the lips. 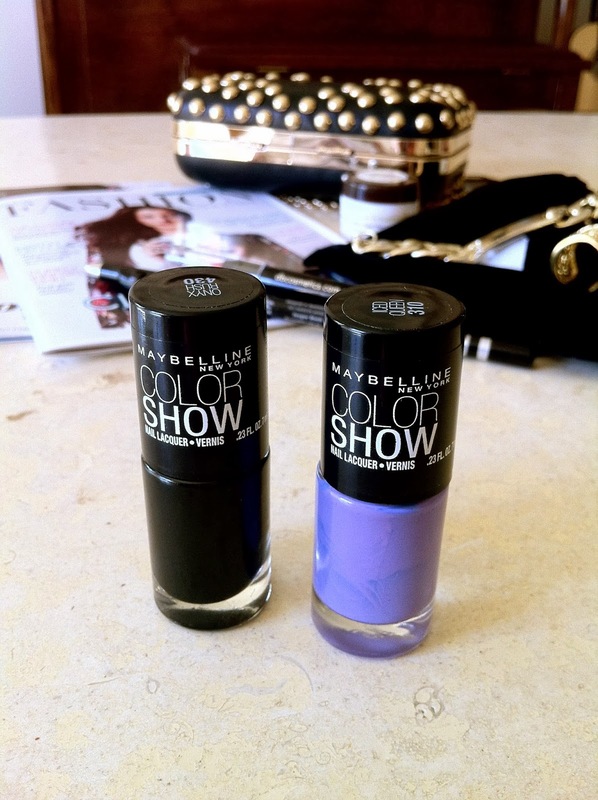 I will definitely be looking at trying some of their other shades and formulas! I would love to know your thoughts and recommendations! Make Up Store is a Swedish cosmetics brand with 220 stores worldwide. I believe an online store with be opening in the near future!! 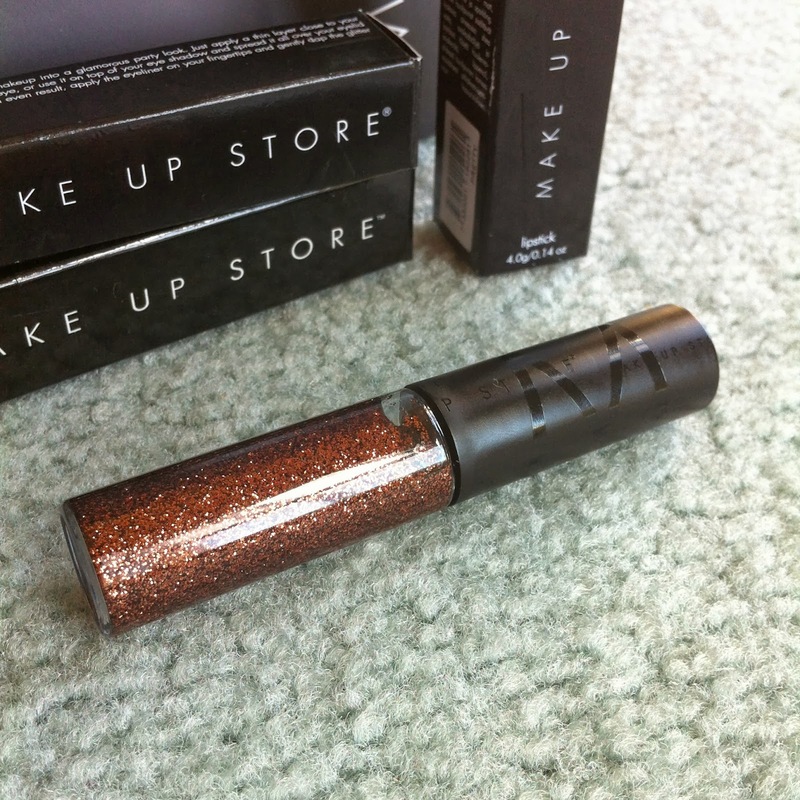 MAKE UP STORE have boutiques in Broadway and Paddington, Sydney, NSW.